My Sun Fluid is a synergy of powerful active ingredients that ensures high protection against UVA and UVB. Perfectly suited to pigmented skin vulnerable to sun exposure and/or on correcting or acne treatment, this solar fluid combines vitamin D-like and vitamin E (to fight vitamin D deficiency and skin aging). EARN 80 POINTS BY PURCHASING THIS PRODUCT! 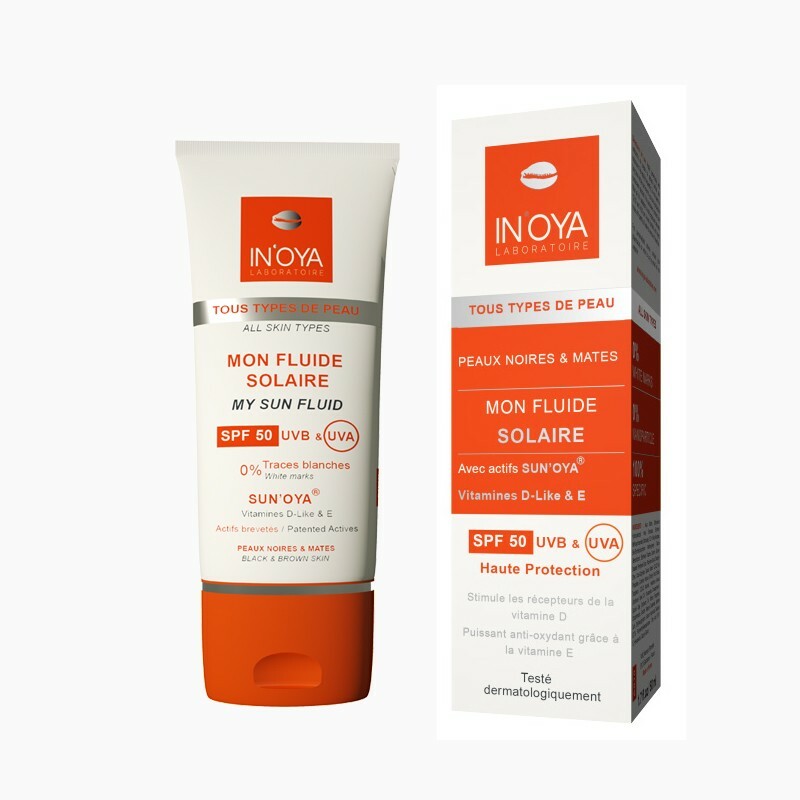 SUN’OYA® My Sun Fluid ensures high protection against UVA and UVB for remarkable results: a protected dark skin with no white marks. Thanks to a synergy of powerful active ingredients, SUN'OYA® My Sun Fluid combines vitamin D-like to stimulate Vitamin D receptors and fight Vitamin-D decifiency, as well as vitamin E, a powerful antioxydant that prevents skin aging. Particularly recommanded on correcting treatment (to prevent spots darkening) or acne treatment, My Sun Fluid is a must-have product. 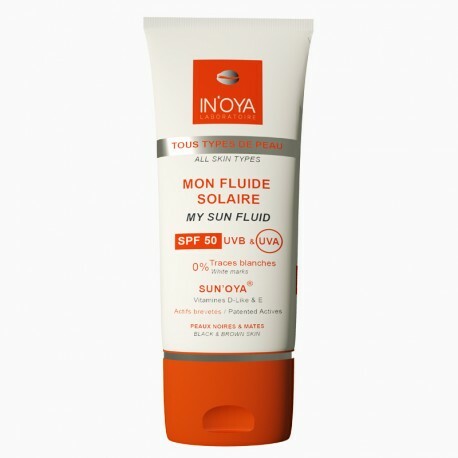 SUN’OYA® My Sun Fluid also helps reduce skin glowing, it will mattifie and sooth the skin at every use. 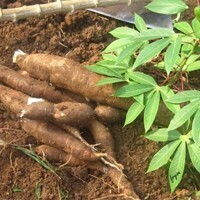 Well adapted to men and women, its very fluid, non oily and non sticky texture leaves a mattified and silky skin. 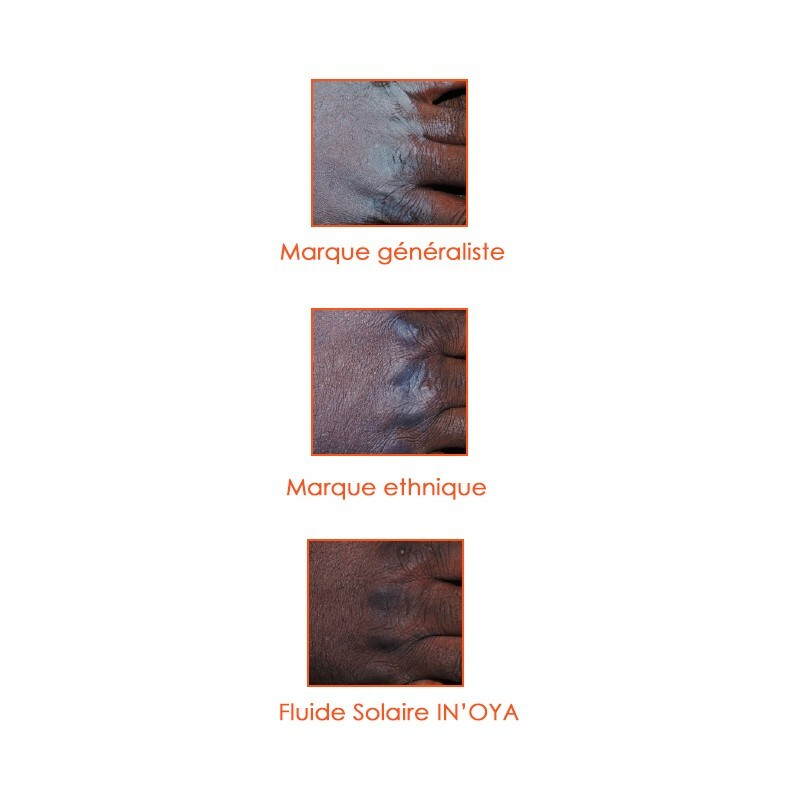 SUN'OYA® is the first solar patented technology, specific to dark and brown skin that ensures a high solar protection against UVB & UVA with no white marks. An innovative combination of solar filters for a SPF 50 protection against UVB & UBA, with no nanoparticle that offers a remarkable result: a protected dark or olive skin with no white marks. Vitamin D-Like (necessary for black & brown skin) stimulates Vitamin D receptors and helps fight Vitamin-D decifiency (joints pains, fatigue, osteomalacia...). Vitamin E is a powerfull antioxydant that prevents skin aging, free radicals caused by the sun, pollution, excess sebum and other aggressions. Thanks to this natural ingredient from the African Great Green Wall, My Sun Fluid SPF 50 abosrbs excess sebum and naturally soothes the skin. In case of sun exposure, correcting or acne treatment, apply generously and uniformly on areas to protect before sun exposure. Avoid exposure between 12 and 4 pm. 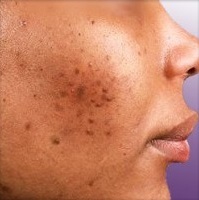 Avoid contact with eyes, rinse with plenty of water to remove if need be. 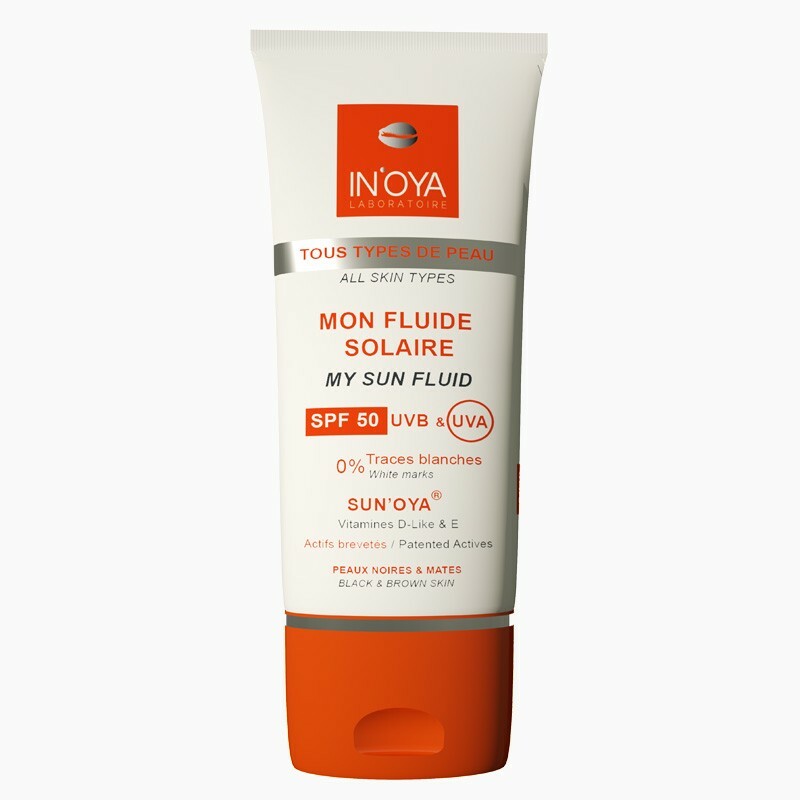 I apply SUN'OYA® My Sun Fluid on areas to protect before sun exposure. Be the first to write your review	!